An absolute bargain for this location! 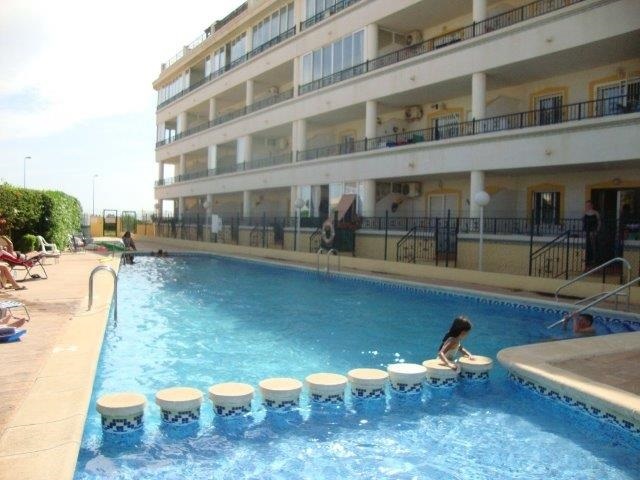 Situated in the ever popular holiday destination of Playa Flamenca is this spacious apartment on the 1st floor of a well maintained apartment block with communal pool. Lift access and intercom. Large open terrace, 2 double bedrooms, family bathroom, living/dining room, fitted kitchen and separate utility room. Fully furnished. Communal pool. Within a short walking distance of the beach, La Zenia Boulevard Shopping Centre and several commercial centres with a huge variety of bars, restaurants and entertainment. This would be a fantastic holiday home and has amazing rental potential for investors.